OUT OF STOCK...Damask pattern reusable lunch bag in gray and white. Insulated and perfectly sized for a hearty lunch. Two outside open pockets for cell phone, ID etc. Three sided zipper for easy access to contents. Quality constructed leak-proof lining, attractive microfiber woven fabric. 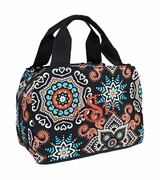 The damask reusable lunch bag measures 9"W x 7.5"H x 5" across bottom. Hand carry. 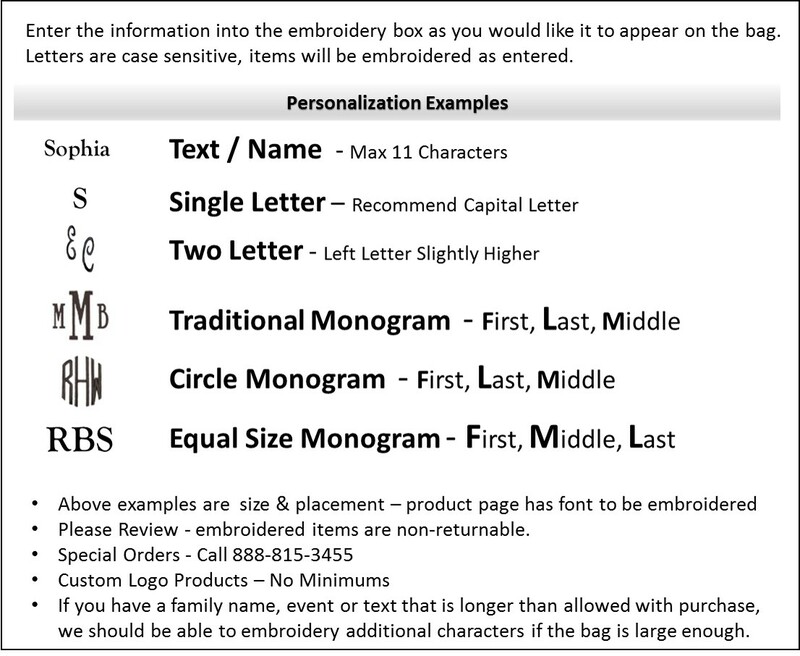 Great looking bag, beautifully monogramed. The bag folds up for easy storage. 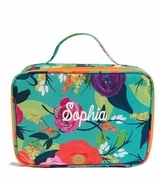 I haven't used it yet but it has a nice flat base to hold a variety of lunch containers. The insulation inside is silver with a plastic covering which makes this bag easy to clean. Great bag. Strap adjusts so you can use it over your shoulder or in your hand. Insulated inside. I'm using mine on a cruise ship to carry lotion to the pool. 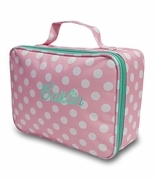 With the insulated inside - it won't leak and get all over the outside of the bag.